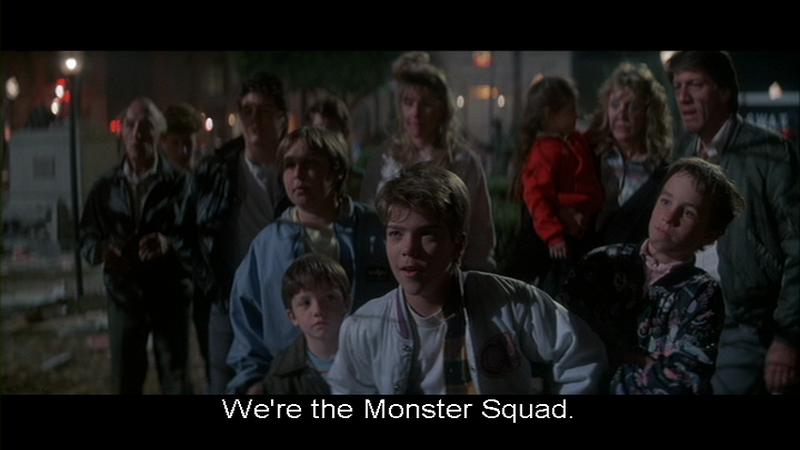 The Monster Squad is the greatest Universal Monsters movie not made by Universal. 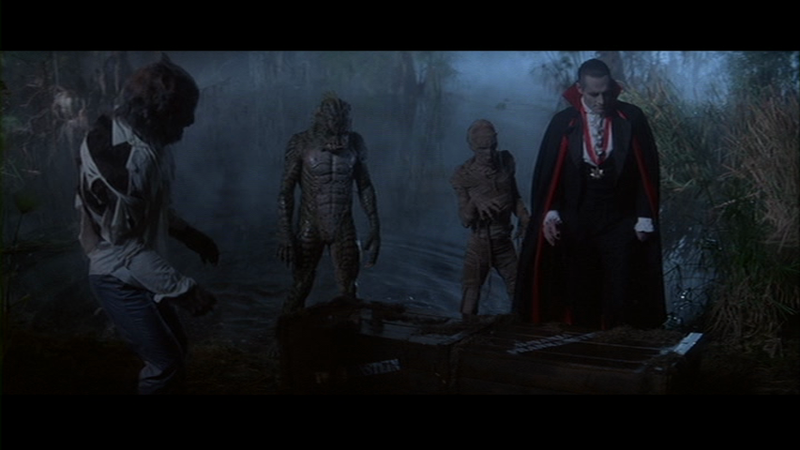 Even though the studio wasn't involved with it, their major monsters are all here: Dracula, Frankenstein's Monster, the Wolfman, the Mummy, and the Gillman. Universal didn't get all of those monsters together in the same movie when they were making their own official crossovers. 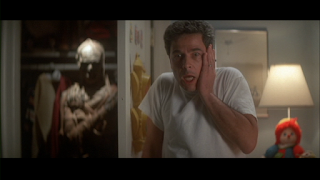 The masterminds behind this monster mash were writer/director Fred Dekker (Night of the Creeps) and his co-writer Shane Black, who had a hell of a year in 1987. 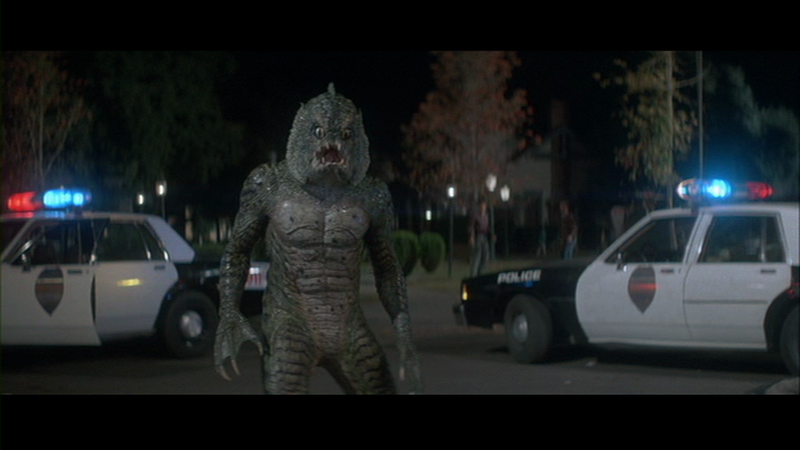 Not only was The Monster Squad released that year, but so was the Black-scripted Lethal Weapon and Predator, which he had an acting role in and might have done some script work on. The story Dekker and Black crafted brings the creatures together with a bit of a silly MacGuffin: the forces of good and evil are kept in balance by the existence of an indestructible amulet made of concentrated good. There's one problem with this - at the stroke of midnight on a certain night every 100 years, the amulet becomes vulnerable. It can broken. If that happens, the balance will shift and evil will rule the world. Well, you need something to bring the monsters together, so just go with it. 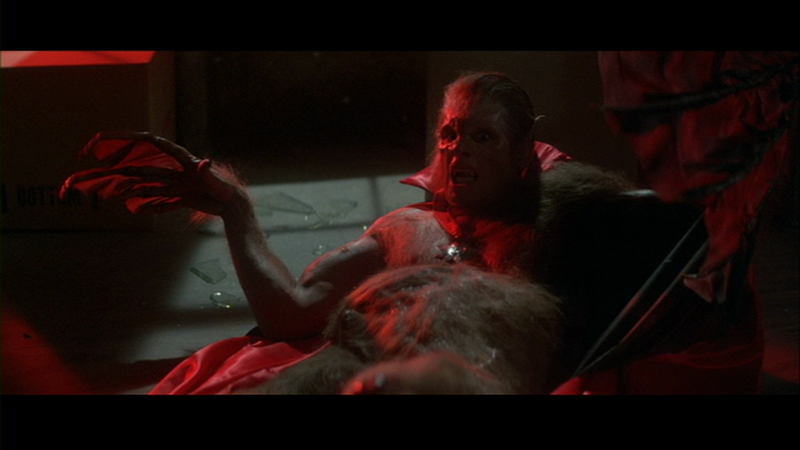 Of course, the monster who wants to destroy the amulet and rule the world is Dracula, played here by Duncan Regehr. Of all the Draculas I've seen on film, I'd say Regehr may well be the most intimidating of them all. He was also probably the first Dracula I ever saw, the Dracula of my childhood. He's a very bad guy, and the other monsters are present as his servants on his quest to find the amulet. The monsters received updated designs for this film, courtesy of Stan Winston, and they look pretty incredible overall. 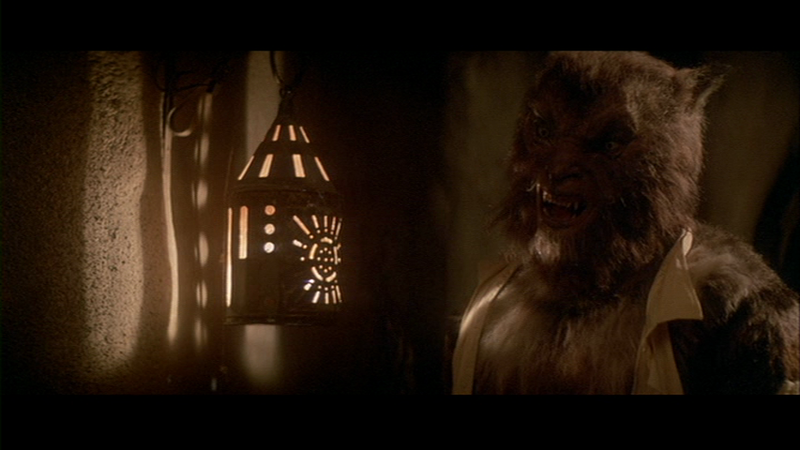 The Wolfman's face is a little odd, but he looks good otherwise. The Gillman is badass and scary-looking, and the Mummy is exactly the sort of Mummy I really want to see: a rotten corpse shambling around, held together by its bandages. Frankenstein's Monster not only looks wonderful, but is brought to life with a heartwarming, sympathetic performance by Tom Noonan. The Monster doesn't want to be part of Dracula's evil plan. The Wolfman's human alter ego, credited as Desperate Man and played by Jon Gries, isn't into this whole evil thing, either. 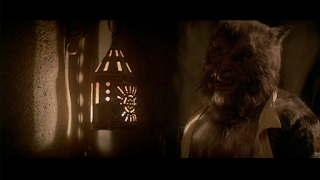 His lycanthropy is a curse and he's terrified whenever he's about to turn back into the wolf. While human, he pleads to be shot or locked up, because he doesn't want to become a monster and hurt people. Baton Rouge, Louisiana is the setting of the film, as that's where the amulet is located, hidden away in a crumbling old mansion. 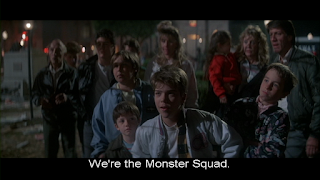 It's here that the monsters gather together... and this town also happens home to the titular Monster Squad. No, Dracula and his pals aren't the Squad. 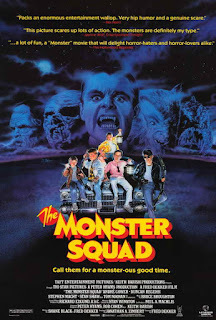 The Monster Squad is a club that was started by 12-year-old Sean (Andre Gower) so he and his friends can regularly gather together in his treehouse, its walls adorned with horror movie posters and stills, to hang out and talk about all things related to monsters. To get in, you have to be friends with Sean and pass a monster trivia test. Members include Sean's best friend Patrick (Robby Kiger); the younger Eugene (Michael Faustino), who usually has his beagle Pete with him; Horace (Brent Chalem), who is bullied at school and called "Fat Kid"; and the leather jacket-wearing, cigarette-smoking, slightly older Rudy (Ryan Lambert), who gets recruited into the club after defending Horace from the bullies. Sean's little sister Phoebe (Ashley Bank) would really like to be in the club as well, but there is a strict "No Girls" policy. I consider this group of kids to be some of the best child characters to ever be featured in a movie, and that's probably because I can relate to them so strongly. When I first saw this movie, they were basically my contemporaries and they were living a childhood very much like mine, spent obsessing over horror and its creatures. 30 years later, I'm old enough to be a parent to these kids, but I'm still obsessed with the genre and now they remind me of how I was at that age. 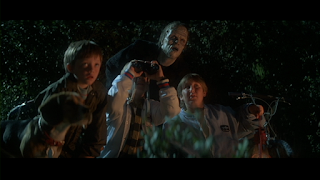 If I had gone to school with these kids, I totally would have been in The Monster Squad. As it was, I tried my best to make my friends genre fans as well. I put in some effort. Asking an elderly local they refer to as Scary German Guy (Leonardo Cimino) to help them translate the journal, Sean and his friends quickly realize what's going on in Baton Rouge. The Monster Squad may be enamored with fictional monsters, but once they realize there are real monsters in their town and what's at stake, they don't hesitate to take it upon themselves to thwart the monsters and, in the process, save the world. The kids have an unexpected ally in this mission: when Dracula sends Frankenstein's Monster to retrieve the journal from them, the Monster ends up becoming their friend instead. He's buddies with Phoebe in particular. How can a bunch of kids expect to stand up against a group of monsters? Well, you need wooden stakes to deal with Dracula and his three vampire brides, so Rudy fashions those in shop class, where he also melts silverware down into a silver bullet, which is the only thing that can stop the Wolfman. That's not to say other methods aren't tried against the Wolfman - although a kick to the balls might slow the monster down (Horace's shocked line "Wolfman's got nards!" after delivering such a kick is one of the most popular lines from the movie), shooting him with regular bullets has no effect, and at one point the Wolfman even gets blown up with a stick of dynamite. His scattered pieces just reform, and when I was a kid I thought this was one of the coolest things I had ever seen. In addition to making weapons, Rudy also steals a bow and some arrows to use against the monsters... and actually, Rudy barely needs a Squad to back him up, because he's able to deal with most of the monsters single-handedly. The biggest weapon at the Squad's disposal, other than Rudy, is the amulet. In the hands of evil it can cause the end of the world if destroyed, but in the hands of good, when certain German lines are read out loud by a female virgin, the amulet can open a vortex into limbo. I find The Monster Squad to be a pure joy to watch. You have great, horror-loving characters, you have fantastic iterations of the classic monsters, and then you combine those elements with the fact that it was made in the '80s, so it has that style and tone that I am so nostalgic for now. As the Squad prepares to go to battle, there's a montage accompanied by the song "Rock Until You Drop" by Michael Sembello. Dekker isn't enthusiastic that this song is in his movie, but I absolutely love it. It is so '80s, so goofy, it puts a smile on my face every time it kicks in. 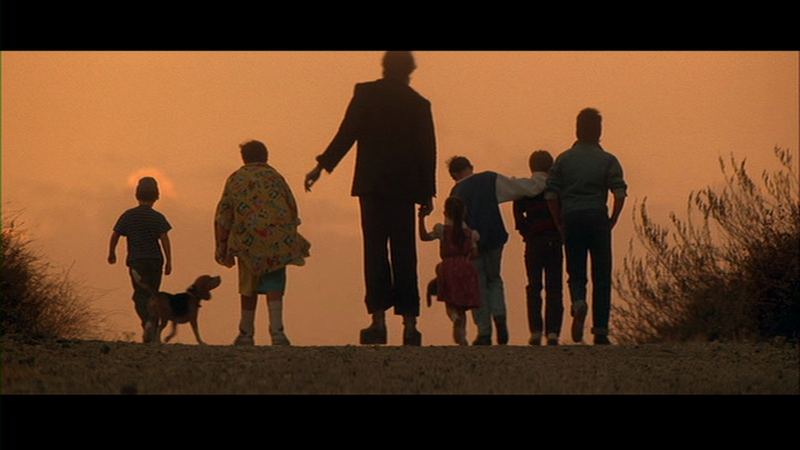 This film has been one of my favorites ever since I was a little kid, even younger than the youngest actors in the group. Before I watched the actual Universal movies, these were versions of the monsters that I knew, and I believe it was a perfect introduction to those characters. I remember watching this movie repeatedly with my maternal grandmother, and it's still one I like to revisit from time to time three decades down the line.